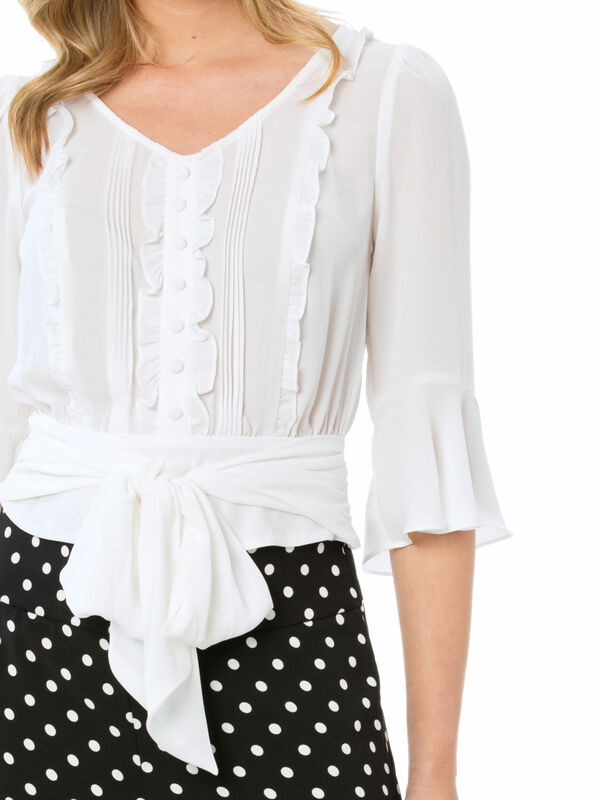 Tully Blouse https://www.review-australia.com/global/tully-blouse-white/RE19TW037.REWHT001.html The Tully is a fail-safe style choice for sophisticated yet simple outfitting. 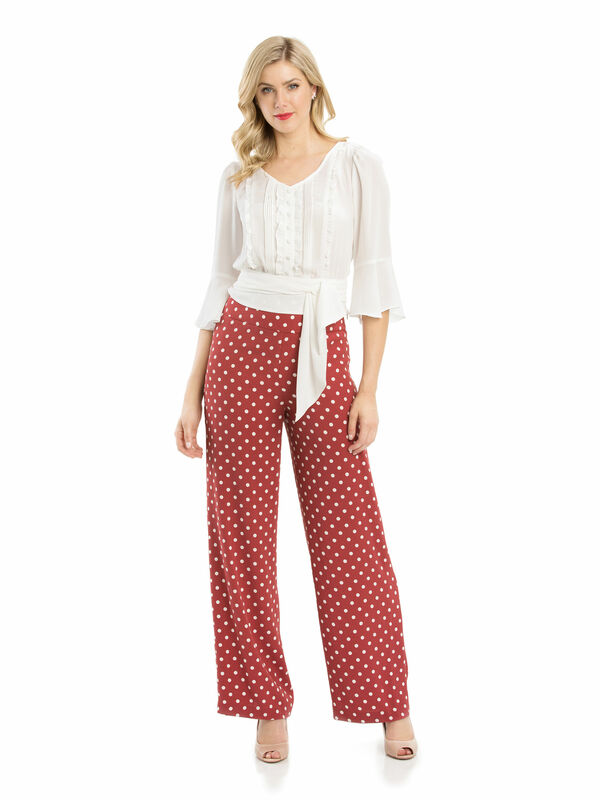 In a soft georgette fabrication, the button-down top sports a slim placket with poplin buttons and a contrast piping trim. The sleeveless style has a rounded collar with a tie-neck embellishment and relaxed darting for a flowing yet structured silhouette. Worn with Spot Surprise Pants and Minnie Heels. The Tully is a fail-safe style choice for sophisticated yet simple outfitting. In a soft georgette fabrication, the button-down top sports a slim placket with poplin buttons and a contrast piping trim. The sleeveless style has a rounded collar with a tie-neck embellishment and relaxed darting for a flowing yet structured silhouette.